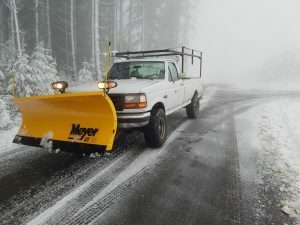 Our snow removal professionals know how to get the job done without interruption. Boulder Falls understands that your commercial area needs to be immaculately maintained, especially during the winter months to ensure your customers feel free to come and go from your business. Boulder Falls can help make your business accessible to all your customers year-round, and we take pride in the superior customer service we provide. Keeping your commercial property clear of snow and ice has many benefits. It prevents injury due to falling on slick surfaces, encourages business during the winter months, and with a regular service contract insurance companies offer discounted rates.